You may be running a small business and think that you cannot afford to have your own in-house legal counsel like some of the bigger companies, let alone an entire legal department. However, even though your business may be small, that doesn’t keep you from running into all the same legal issues as larger companies. Even the smallest of companies must deal with employment issues; tax matters; contracts with customers, vendors and other third parties; real estate purchases or leases; etc. 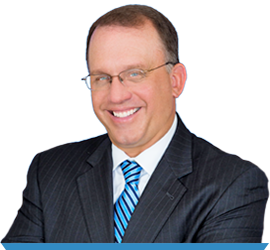 Having a qualified and experienced attorney on hand to help with these matters – at a cost which is affordable to small or growing businesses – can prove invaluable for maintaining legal compliance and preventing disputes from arising or growing out of control. The Schwartz & Salivar Legal Team offers a solution. The firm’s Outside General Counsel services allows business clients to access the firm for advice and legal services as needed, under a monthly billing arrangement. The ability to call an attorney with questions, without the fear of being billed by the minute, is a huge relief and valuable benefit to many business owners who are smart enough to know when they need help, and who now have a cost-effective means of obtaining that assistance. Cost-conscious business owners may be tempted to draft documents themselves, or to modify templates they downloaded from the Internet or purchased from on-line legal services providers. Even a document that was originally prepared by an attorney may not meet your particular legal needs, and trying to customize a generic document can end up with you in a worse position than before. There is no substitute for personal legal service tailored to your needs, and with the Schwartz & Salivar Legal Team as your outside General Counsel, this valuable benefit is available and affordable. To learn more about the outside Boca Raton general counsel program offered by the Schwartz & Salivar Legal Team, call our office in Boca Raton at 561-347-6767, or contact us online.